We used @Leximancer to rapidly compare all the public submissions to the Australian #BankingRC (#BanksRC) with its final report, released today. The semantic indexes below indicate that the commission has in fact covered almost all the major issues raised in these submissions. These indexes are generally used as a way to easily locate all the relevant sections of text for any theme or entity of interest. 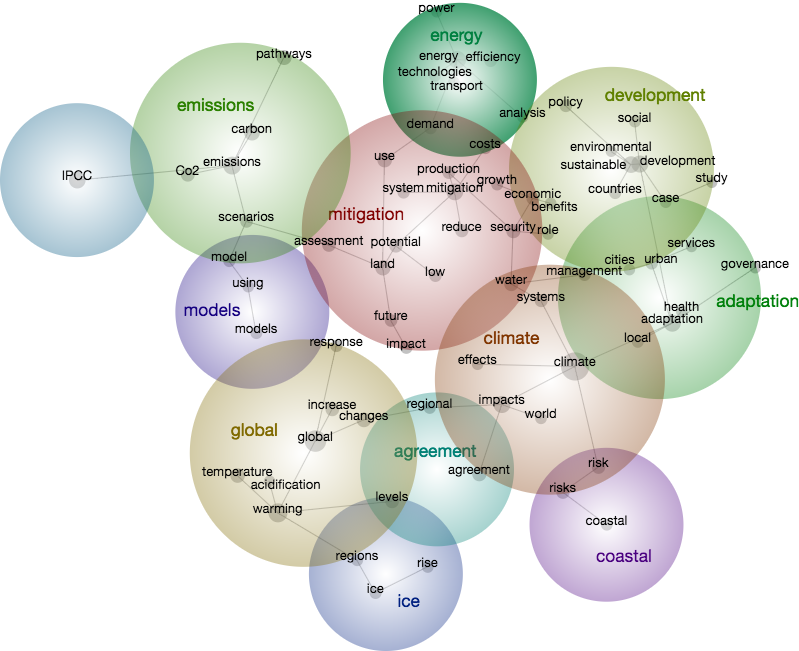 As the latest IPCC report on climate change, SR15, has been published, we at Leximancer thought it would be interesting to discover the conceptual model contained within. The resulting chart is not only a revealing model of how the IPCC sees this issue developing, but most importantly the interactive report can be used to systematically review the entire set of texts and rapidly identify threats and opportunities. Leximancer lets you prepare for a meeting in under an hour. Register now for Leximancer's upcoming training courses in Brisbane! This workshop provides a practical introduction for new users of Leximancer. Click here for more information, or to book. This course is designed to build on the skills and information from Leximancer Module 1. It is advised that participants in Leximancer Module 2 have either completed Module 1, or have a basic working knowledge of Leximancer. Click here for more information, or to book. The price of each one-day course $579.00AUD+GST, or book both for $999.00AUD+GST. All courses will be facilitated by Leximancer’s founder and Chief Scientist, Dr. Andrew Smith. If you have any queries regarding these upcoming modules, or would like to enquire about bespoke Leximancer training, please don’t hesitate to contact us via our website, or at admin@leximancer.com. The Australian Competition and Consumer recently released its report into retail electricity pricing problems in Australia. Here is a snapshot of the automatically extracted systematic review of that document. This map allows rapid review and detailed interrogation of the material within the Leximancer application.